To show your readers that you've indexed with Directory of Research Journals Indexing, you may display this icon on any page on your journals website. Here is the XHTML code you could use to add this icon to your Web page. 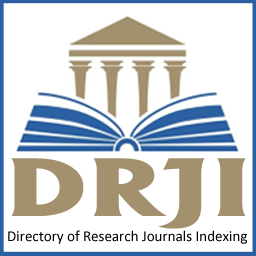 This link also redirected to your public profile on DRJI which indexes all your details provided by you to DRJI and also provide the complete list of your articles indexed with DRJI. You just have to copy and paste code on your journals webpage. Also you can download desired image by right clicking on that image and can save it. All rights reserved to DRJI.